Holiday cards are a big tradition in our family. I&apos;m always on the hunt for specialty paper companies that offer inspired designs. 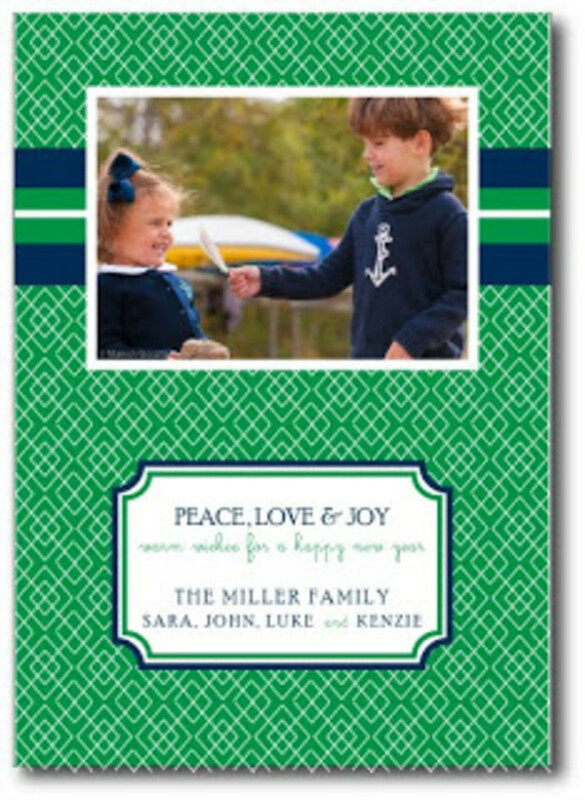 I&apos;m happy to share the scoop that Pretty Printing is offering Momtrends readers 25% off all holiday orders. Use code: MOMTRENDS. I&apos;m smitten with this Lattice & Stripes pattern--very Tori Burch! Don&apos;t miss Oeuf&apos;s Baby sale. Spring and Fall designs are 40-50% off. My pick? The reversible hoodie. Tees are 30% savings at Planet Mom! That&apos;s right, EVERYTHING IS ON SALE at www.PlanetMomTShirts.com through the end of November. Maybe "I&apos;m a tweetheart?" Totsy.com --moms best resource for baby gear and fashions at deep discounts. Weekend sales include Hape toys at 40% off and Nomie Baby car seat covers at 40%. Tori Spelling&apos;s new line, Little Maven goes up on Monday. Not a member yet? Join here. Fat Brain Toys--Through Monday, November 23rd, get $5.00 OFF your next purchase of at least $25. Use promotion code NP-8238 during checkout to take advantage of this special offer.